1)- I sent it to the Ambassador on the Eve of Valentine's Day! 2)- I sent it to the White House and to The Presidential Palace, Jerusalem, on 7 of Adar the 17th of February in time for George Washington's Birthday (since it really is on the 22th of February) they called it "Presidents Day" this year in honor of this Na Nach effort and letters to the two Presidents (of Israel and of USA)!!! 3)- Needless to say the force behind all of this is spiritual weirdness is the REAL PRESIDENT Moshe Rabbenu who was asked NOT to pray to come to the land of Israel. Moshe Rabbenu's tablets ARE the inner chamber of the Tabernacle and the most hidden part, never seen, while the outer walls are there for all to see. The Torah of Bereshit, or creation (nature) is there for all to see, while the True Tzaddik, apparently forever remain a secret. Vaykra (the central, hidden and holy part of the Torah) shows that even G-d places himself SECOND, AFTER the Tzaddik!!!! Bringing Rabbi Nachman to the Holy land will allow him to progress in heaven at a speed which has been denied him- (I say this)- he needs you more then Moses did. Unlike Moses, who was denied help, Rabbi Nachman is being refuted (prevented from making alia) by his own students! 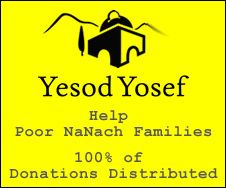 Considering that G-d HIMSELF puts the Tzaddik before him, those preventing Rabbi Nachman from being brought here are living on very expensively BORROWED TIME. It's hard to get out of bed under such conditions, you may actually wake up G-d forbid! Allow Rabbi Nachman to be elected in heaven by bringing him to Jerusalem!! !